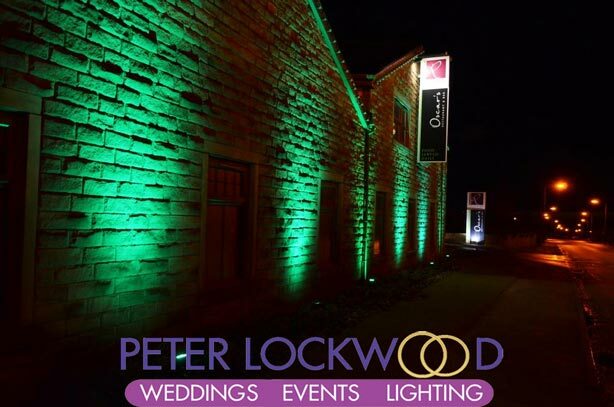 My outside lighting service is a fantastic way to light up buildings or bring gardens alive. 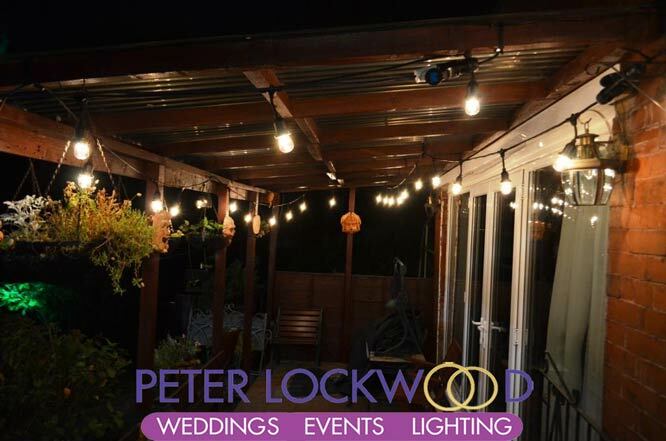 This includes Garden Lighting, Festoon Lighting, Building Illumination, Exterior and Architectural Lighting. 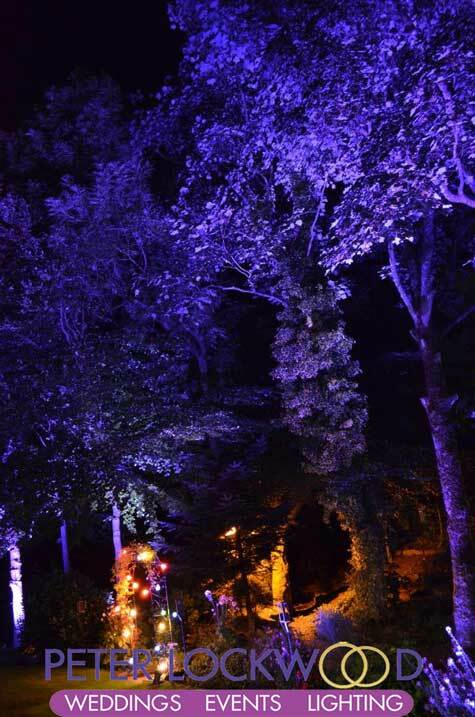 Gardens can be brought alive with my Garden lighting services, perfect to bring some live to a winter and spring garden or a summer garden party. 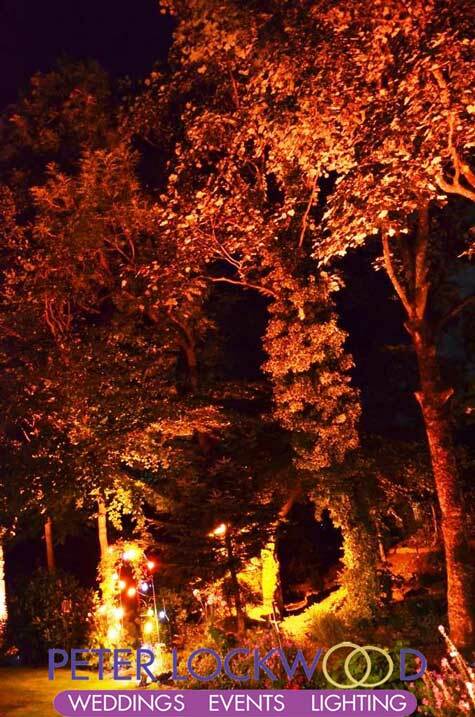 My garden lighting lights are perfect for all seasons. I have two types of outdoor lighting both are led. 8 are smaller 21w tri led floods and 18 high powered 60w quad led as shown in pink tree picture and the 3 pictures at the bottom. The 60w waterproof led lights can be set on a slow colour fade, changing from Red, Blue, Green and White and all the colours in-between. 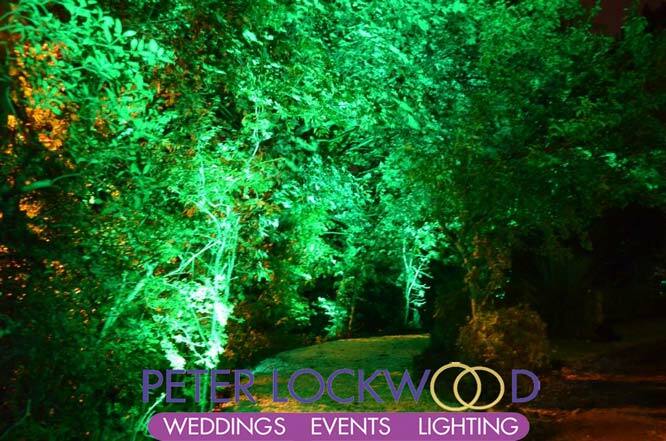 The top 2 pictures my client wanted Festoon Lighting and Green Tree lighting when they held their daughters wedding in a marquee at the bottom of the garden. 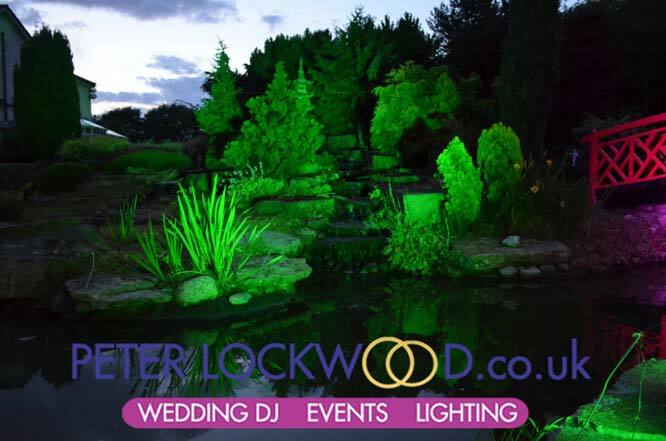 The 3 pictures and video show the led garden lighting set for a 60th birthday party the client wanted something different to bring his garden alive. 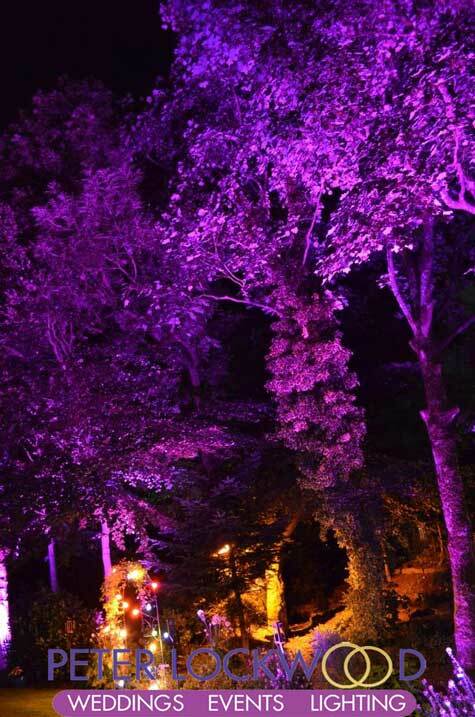 The lights as you can see in the video was set on a slow colour fade perfect to let the guests know where the party is. 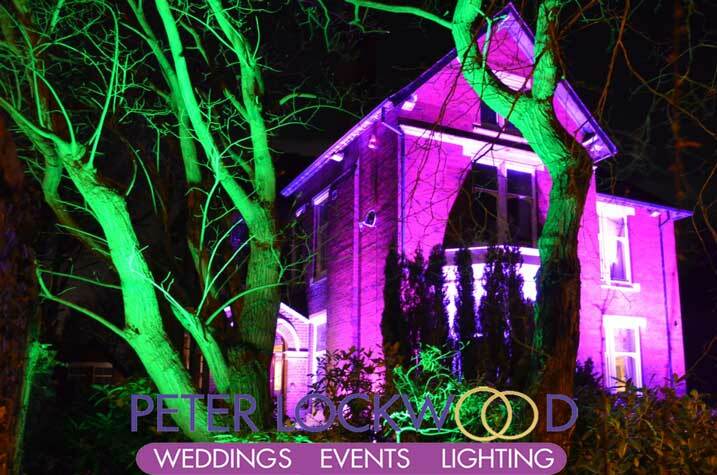 This is a new lighting service that I provide, a fantastic way to light up your house and announce where the wedding is happening or if you want it to stand out from the rest for your party. The lights can be fitted to the top of your building and shine down or in the garden shining up your house. Building Illumination house lighting, the led flood lights can be set on lots of different colours. 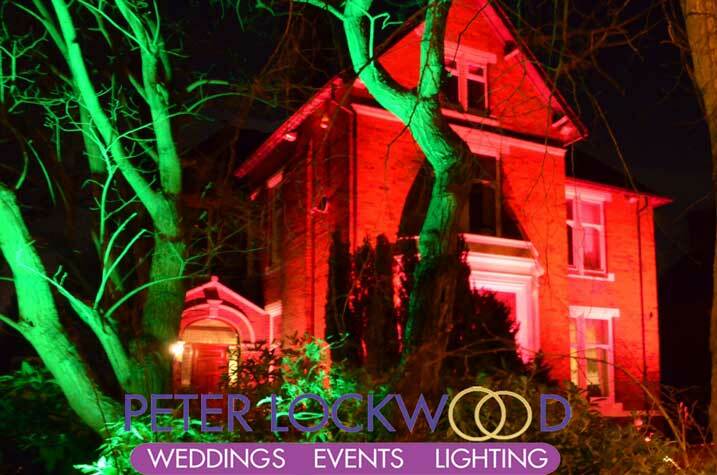 You can also use the outside lights for events like the Green Lighting on the Red Hall Hotel for a St. Patricks Event. The lights can be fitted in the garden to shine on to the house like in the two pictures below. 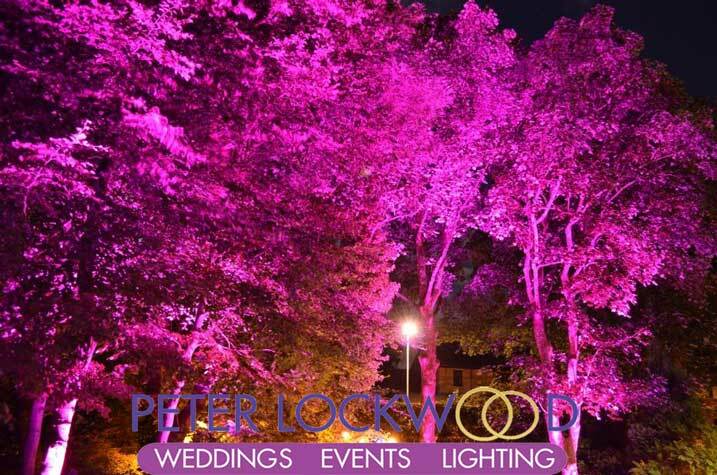 I used my high powered 60w led flood lights they can be pre-set on a single colour or use the inbuilt colour fades.